Unless otherwised noted, performances are at the Old Theater, 609 Broad Street, Oriental NC. Performances at the Old Theater begin at 7:30 pm; doors open at 7 pm. Performances at River Dunes begin at 5 pm. Sponsored by Marsha’s Cottage and Marjorie and George Dufek. ​Supported by a grant from the North Carolina Arts Council, a division of the Department of Cultural Resources. 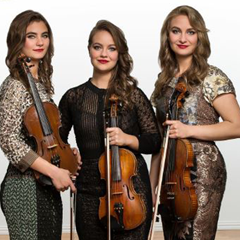 When these fiddle champions from Texas start playing and singing in three-part close harmony, audiences are transfixed, then blown away. 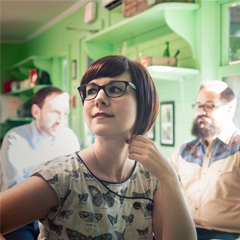 The trio’s vocal and instrumental performances are authentic all-Americana. Along with headlining their own shows to ever-growing audiences, they’ve shared stages with American music legends like Willie Nelson, George Strait, Merle Haggard, Ricky Skaggs, the Gatlin Brothers, and many others. 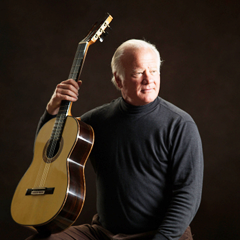 Sponsored by Axelson Chiropractic and Sailcraft Service, Inc.
​From Washington DC to Rio de Janeiro, from Lima to Madrid, critics have hailed Gordon Kreplin’s performances as “transcendent…making magic and exploiting the guitar’s expressive possibilities.” Performing with his wife, vocalist and flutist Cathy Pescevich Kreplin, Gordon will present a romantic recital of Spanish and Latin American music -- an evening of pure delight! 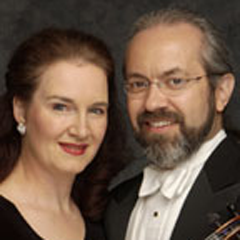 “Sensuous, exuberant and intensely human” (Washington Post) musical performance is the hallmark of this husband-and-wife violin/piano duo. Long a fixture in the Washington DC chamber music scene, Adkins and Newman have wowed at the Kennedy Center, the National Gallery, the Phillips Collection and Strathmore Hall. As former Associate Concertmaster of the National Symphony Orchestra, her orchestral career spans three decades. A piano prodigy at the age of 5, he continues to give critically acclaimed solo performances in Europe, Australia and across the United States. They will be playing the Beethoven c minor sonata, the Rozsa Duo, Svendsen's Romance, and Gershwin/Heifetz Porgy and Bess suite. 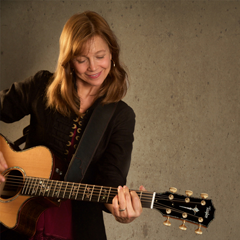 ​Sponsored by Nautical Wheelers, Michelle Fodrey, and Anne & Paul Manganaro. Heartfelt, energetic, and down home. 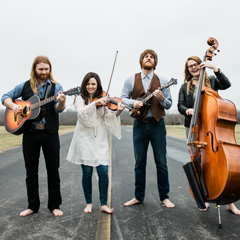 Heralded as one of the most promising bands on the bluegrass scene, The Barefoot Movement -- 2014 IBMA Band of the Year Momentum Award winner -- draws from styles of bluegrass, folk, acoustic rock and Americana. Complete with all of your classic seasonal favorites wrapped in a Christmas package, their music and cheer will fill you with an enduring feeling of love and hope that will warm your heart throughout the year! ​Sponsored by Oriental Village Veterinary Hospital and The Red Rickshaw. Supported by a grant from SouthArts. 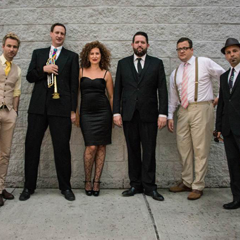 From premier NYC jazz clubs to the underground world of secret speakeasies, Svetlana & The Delancey Five is a "very sweet & naughty" (Jazzlives), "energetic" (Wall Street Journal), "delightful" (WRHU Jazz Radio), Golden Age-inspired band. Playing hard swinging 1920s-40s jazz standards as well as charismatic originals, and featuring Svetlana's "fine and graceful" (Jazzlives) vocals backed by the band members' harmonizing and virtuoso instrumentals - their tunes are so infectious, they'll steal your heart and sweep you off your feet! One of the region’s most sought-after chamber music groups, this woodwind quintet made their Carnegie Hall debut in January 2017. 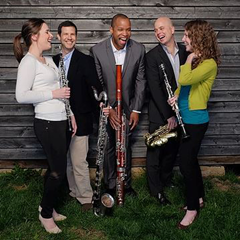 Comprised of oboe, clarinet, bassoon, bass clarinet and saxophone, the group’s cutting edge sound and style both embrace the contemporary and add a new twist to the likes of Bach, Gershwin and Ravel. The unique blend of reed instruments transforms familiar favorites and is in hot demand for commissions of new works – we will be able to sample both ends of the spectrum! Sponsored by Beth Frazer & Associates, Inc. and Gibbs Hall Hearing Aid Center. 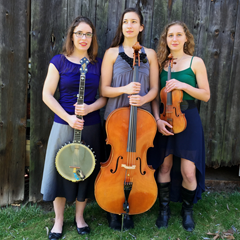 ​Supported by a grant from the Pamlico County Arts Council. This Grammy Award-winning group has been described as “something extraordinary” by the New York Times. Inspiring performances, luminous sound, and exceptional musicianship are its hallmarks. 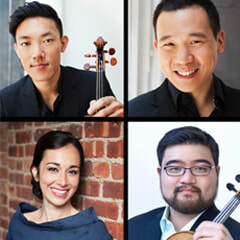 In demand worldwide, the Parker Quartet’s numerous honors include winning the Concert Artists Guild Competition, the Grand Prix and Mozart Prize at France’s Bordeaux International String Quartet Competition, and Chamber Music America’s prestigious Cleveland Quartet Award. 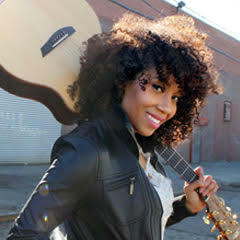 Rissi Palmer, who describes her musical style as "Southern Soul," has received widespread media attention in national publications including Ebony, Parade, People, Newsweek, Huffington Post, Rolling Stone, The Wall Street Journal and more. She has performed on the CBS Early Show, CNN, The Tavis Smiley Show, Oprah & Friends, at the White House, Lincoln Center, and the Grand Ole Opry. Rissi has also shared the stage with such notable artists as Charley Crockett, Chris Young, Taylor Swift and The Eagles, to name a few. And, on top of all that, she made music history in 2007 with the release of her Top 40 debut single, "Country Girl," becoming the first African-American female to chart a country song since 1987. Since the release of her nationally distributed debut album, Rissi has released two albums on her own indie label Baldilocks LLC, including the children's albumBest Day Ever and her latest critically acclaimed EP, The Back Porch Sessions. She is currently working on a new album scheduled for release in 2018. Individual concert tickets are $22 (N.C. sales tax included) unless otherwise noted. and may be purchased online. ​For sold-out shows, call the office (252-617-2125) and we will put your name on the waiting list. ​Tickets for sold-out shows may become available at the door last minute. Check at the box office at 7:15.